Years ago when we owned a bakery, we used to make this multigrain bread. I recall it had a very good flavor, especially when toasted. While at a local bulk food store (TRA in Truro, Nova Scotia), I was very surprised to see this on the shelf. Now I expect most consumers would not purchase a 20kg bag of bread base (you still need to add more flour). But I’ve worked with this before, only now the equipment I have is much different. Time to experiment. The mix is exactly as I remember it. Plenty of seeds and grains. The first step is to soak the grains in hot water for 3-4 hours. Near the end of the grains soaking, I have to prepare the yeast and weigh the flour. It does call to use ‘strong bakers flour’ but I don’t have that, so I’ll use regular all purpose flour (on hand I have the no name brand picked up at the Real Atlantic Superstore in Antigonish). I don’t have the yeast it calls for either (it says to use instant or compressed) and I only have the traditional yeast. I do know that traditional yeast can be substituted for the compressed yeast (which is about 1% to 1.5% of a recipe). So I prepare the yeast. 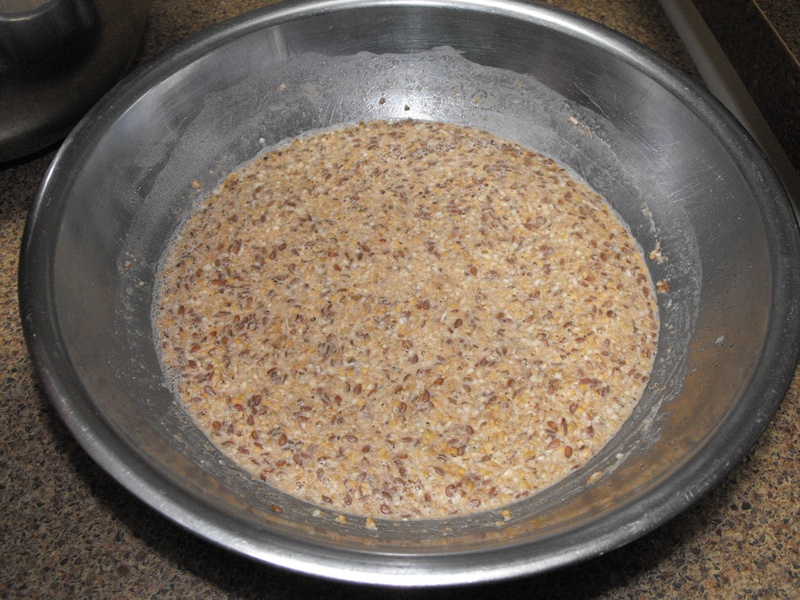 I sprinkle a bit of sugar in a bowl (food for the yeast), along with a portion of the water needed in the recipe. I use warm water to allow the yeast to quickly activate. Come time to add water to the dough, I’ll use cooler water. More on that in a bit. The recipe on the bag was for the whole bag so I had to do some math. I knew once all the water was in, that there was a problem as the dough was too soft. I did let it mix for a few minutes but it did not come together. So, time to review the notes I made along the way. Sure enough, I put nearly twice too much water. Damn. Well, the only thing to do is to add an appropriate amount of flour and keep mixing. I ended up adding nearly 3 more cups of flour. Once I got the dough on the table and kneaded it a little bit, it came together well, but it was soft. I had enough dough to make 3 pans of 590g loaves and several double size rolls. It rose quickly in the proof box… too quickly really. So I was suspicious of the doughs stability. Sure enough, soon as I picked up the bread pans to put in the oven, they partially collapsed. Well, bake it anyway and see what happens. On the instructions it says to cut the top and bake with steam. Well I can’t cut the tops because the bread is unstable, and I only have a regular oven. I placed the breads in the oven and baked it as I would for regular white bread. 30 min at 395F. Thankfully the bread didn’t fall any further. So I’d call this a pretty good attempt given the monumental mistake I made with the water. A coupe slices with boiled eggs, plenty of energy to get through the morning’s outdoor chores. Canadian Harvest Heart bread with breakfast. I mentioned earlier about adding cooler water to the dough. In commercial baking, timing is everything. Its the same as baking at home. You want to control the rise of the dough whether its on the table or proofing in the pan. Controlling the rise means you have to control the yeast. If the water is too cold, the yeast will not be as active as it can be. If the water is too warm, it can not only kill the yeast but more importantly it will make the dough too soft to fold and knead properly. If the dough is too warm or too cold from using the wrong temp water, this will effect the yeast too. Seasonal temperatures have an effect too, whether its too cold or too warm. The only wrinkle in this is that the formula is generally used for regular bread recipes where everything is put together and mixed. This grain bread is different because hot water is needed to soak the grains for 3-4 hours. And warm water is necessary for presoaking the yeast. So when it comes to measuring the temp of the flour you could get the grains and flour in the mixing bowl and then stick in the thermometer to get the ‘flour temp’. 🙂 its not too difficult, maybe a little confusing at first. If you are mixing with a small mixer or mixing by hand, this temperature formula works just the same. 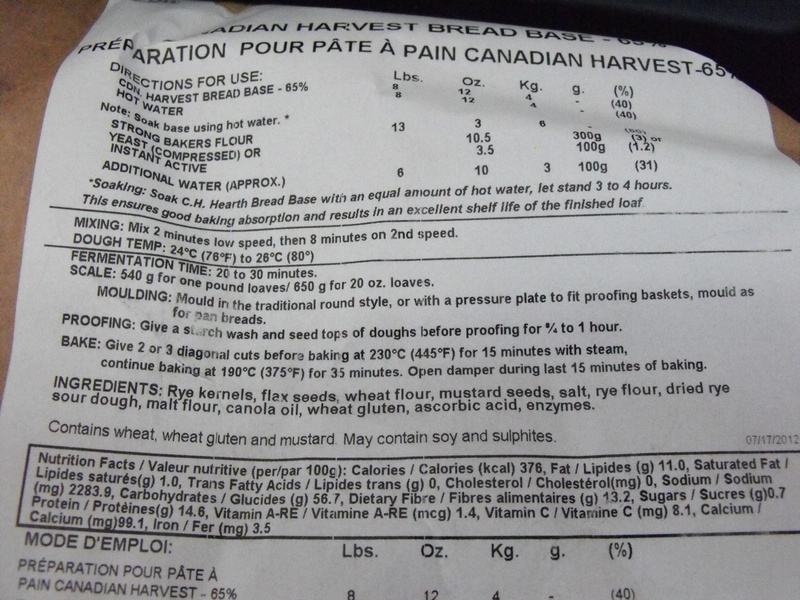 All three of these measurements have an effect on the end result of your bread. With thermometers, you can measure the room temp, the flour temp and the water temp and even the dough temp. Why do we need to be concerned about dough temp? Well if your dough is too cold, it will be slow to rise, if its too warm, the yeast will be out of control and will most likely cause your dough to fall while proofing or in the oven. If you don’t know what your dough temperature should be, just measure it the next time you make your dough. If its your first time making a bread dough, 75 – 80 F would be a good start. In the example, the mixing friction temperature is 32. You can, if you want, run this experiment over a couple of bread batches to get the average. Notice the difference is now the water temp is the unknown. Its always guesswork to know what the water temperature should be. If you’ve ever put your finger in the water while its coming out of the tap, well, you are essentially guessing at what the water to be. No doubt some of you out there have this down pat, but many don’t. And having the right water temp will control the yeast activity which will result in a better loaf of bread. So let’s run the example again. You’ve used your thermometers to measure the room and the flour. You now know the mixing friction temperature. And, you have a good idea what the dough temp should be. 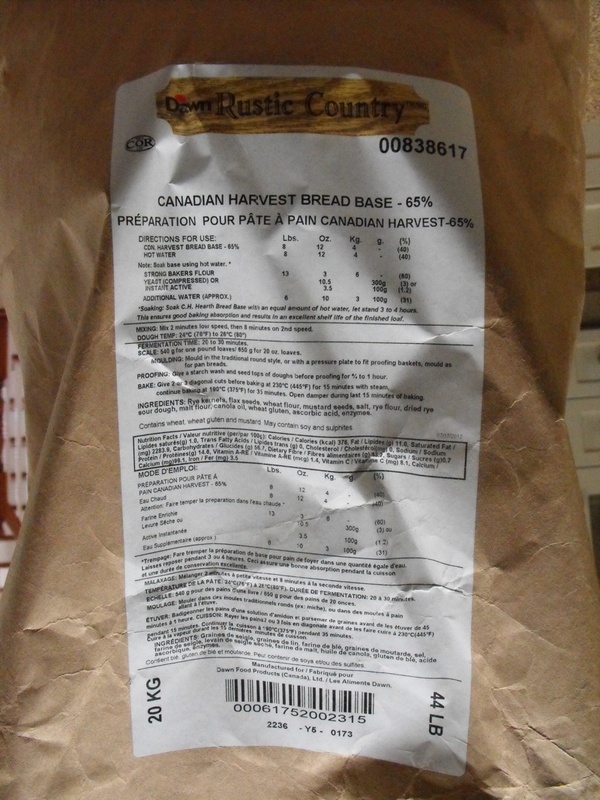 In the case of Canadian Harvest Hearth bread I made, the instructions on the bag said the dough temp should be 80 F.
So the water should be 65 F. Now get busy baking bread! If you put your finger under the tap you might expect not to use such warm water, but the math doesn’t lie. 🙂 Using 86 F with a cold room and even colder flour, the dough will still end up being 80 F.
That’s about it. If you have any questions or comments you can post them below. Oh yes… the recipe I worked out was for 4 loaves. While I measured the wieght on a scale I also used a cup and spoon measure for the old fashion method too. The sugar listed below is not a part of the recipe but I use it to activate the yeast while it soaks.